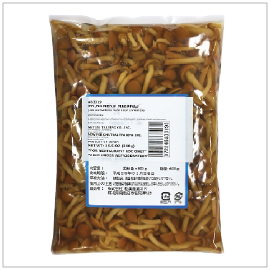 Nameko Mushroom makes for a delicious and healthy topping for noodles and other dishes! Nameko mushroom are one of the most popular mushrooms in Japan after shiitake mushrooms. It has somewhat gelatinous coating on the mushroom caps that act as a natural thickener to soups and sauces. Nameko Mizuni is Nameko mushroom that is simply boiled with water and a bit of salt.